Marj sends an addendum to her letter earlier today to compare travel times of regular mail and special delivery. I don’t know what’s weirder, Marj sending locks of hair because she’s bored or Bob keeping those locks for almost 70 years. But they didn’t have iPhones back then so I guess we can cut them some slack. Bob and Marj is a true epistolary podcast. 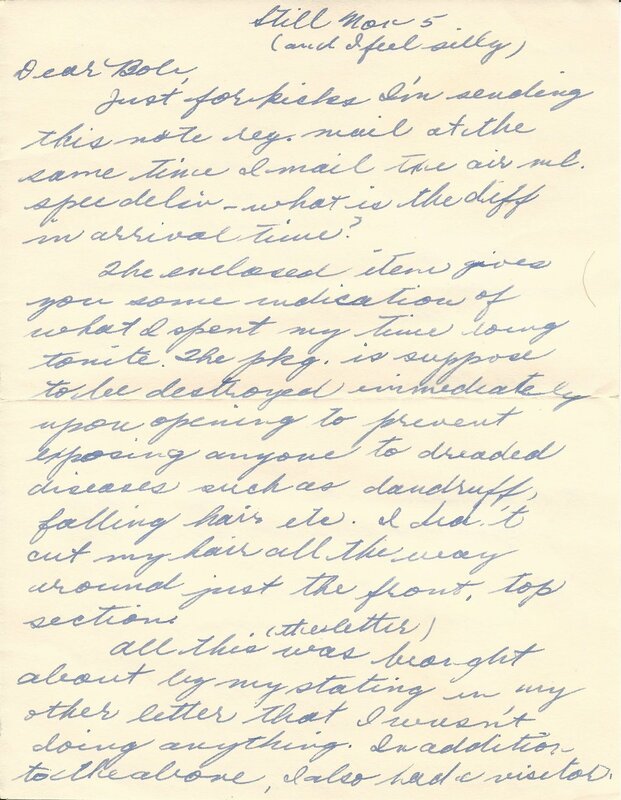 You can read the original letter and the hair(!) from this episode below.